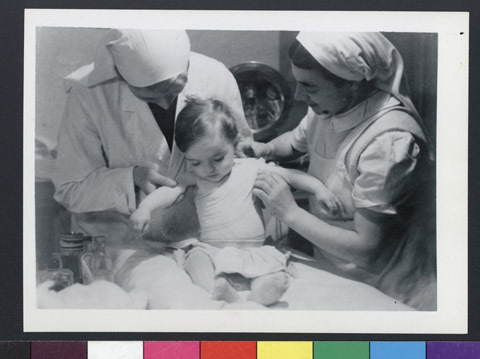 JDC - Archives : Young Jewish refugee child receiving medical care from two nurses. Title Young Jewish refugee child receiving medical care from two nurses. Description A young Jewish refugee child receiving medical care from two nurses. After France fell to the Nazis, many refugees fled to Switzerland, where JDC and local relief committees work together to provide aid.